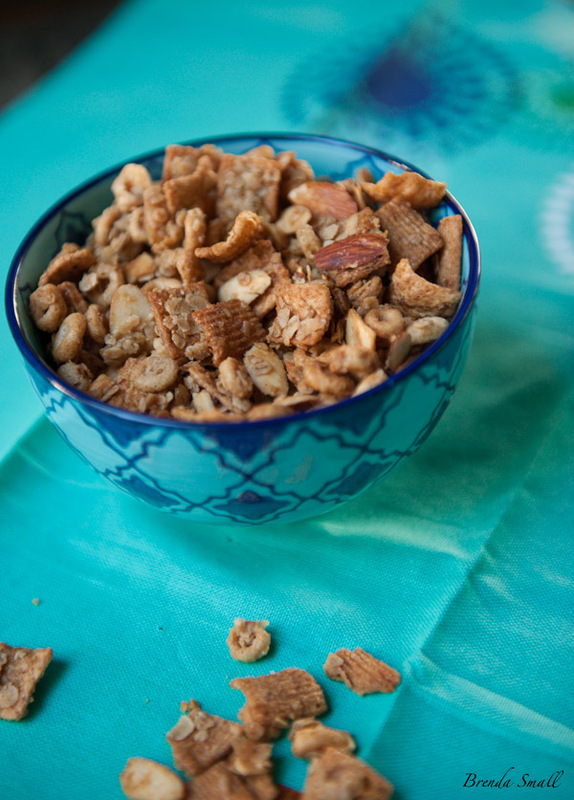 This Cereal-Nut Snack Mix is a tasty mix of cereals, oatmeal, nuts and sweetness! 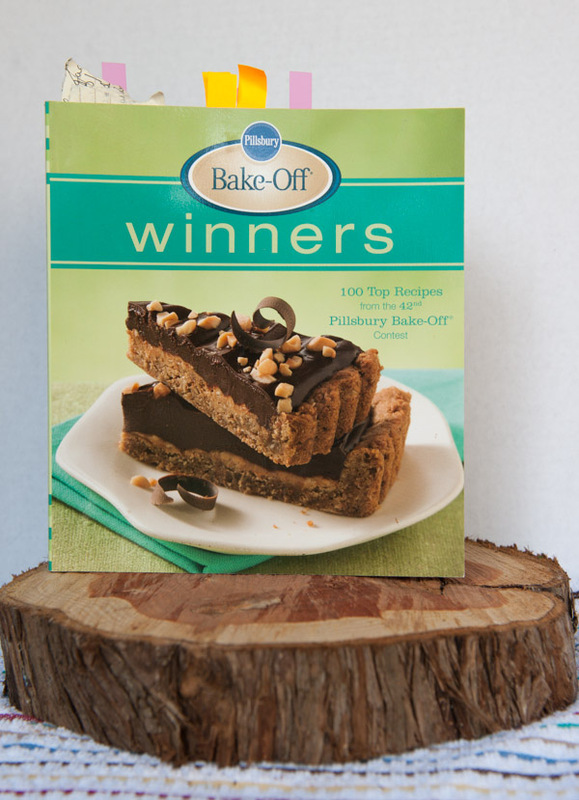 The inspiration for this recipe came from the “Pillsbury Bake-Off Winners 42nd Contest” cookbook. I found lots of recipes in this cookbook interesting, but this one jumped out at me. I was looking for some snack mixes for a canasta party I was having. I wanted something different and easy. This recipe fit the bill! I have been making the recipe as it is printed in the cookbook for three or four years now. When I made the decision a few months ago to get my blog back up, I started looking through all of my thousands of recipes to pick the ones I wanted to include in the relaunch. 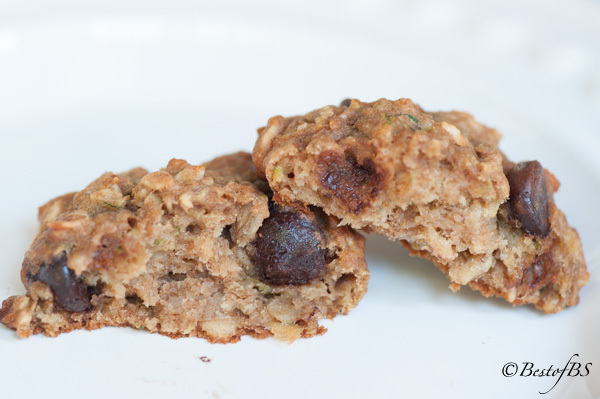 This is the perfect snack to have around the house for the kids…or yourself or to send to school in their lunch boxes! So I went to work on it, and this is what I’ve ended up with. It’s about as healthy as a sweet snack can be. It’s easy and quick to make, and you can double or triple the recipe to share the love with the neighborhood! 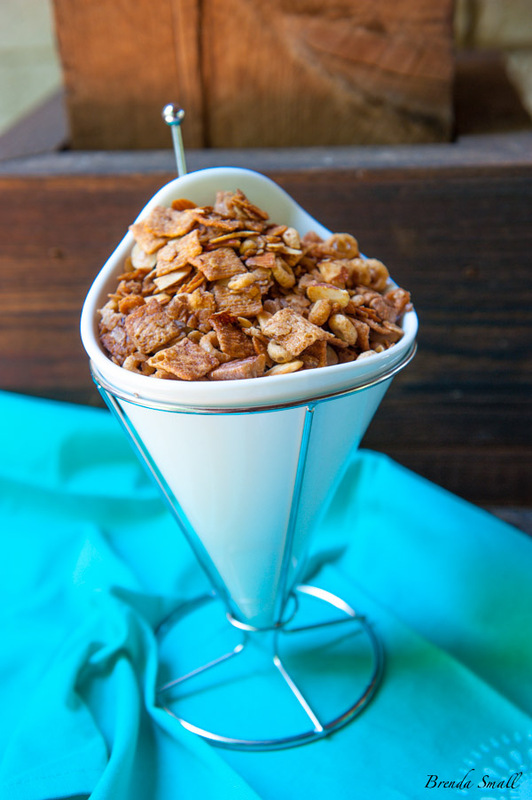 I substituted Bob’s Red Mill 5 Grain Rolled Hot Cereal for regular rolled oats, I added an extra cup of Cinnamon Toast Crunch cereal and I added a cup of pecans…because I love pecans. Cereal and nuts in an awesome sauce…YUMM!!! In the last several months, I have served this snack mix at two baby showers, sent it to Joel’s office and I took a double recipe to Denver for my grandson, Brady’s, first birthday weekend. Last weekend, I noticed “Chief” eating this mix with milk as a cereal. What a great idea! So…I took it a step further. I put the mix in a bowl, put a big spoonful of Fage Greek non-fat plain yogurt over the cereal, and finished it off with fresh blueberries, raspberries, strawberries and bananas! If you want to be fancy, layer the ingredients in a parfait glass, and you would have a fancy brunch parfait. What a great breakfast or snack!! I always judge the success of a recipe by how many requests I get for it, and I have received many for this one. As an added bonus to being a great snack, it is perfect to use as a hostess or other gift. Simply put it in a decorative container or gift bag and tie with twine or ribbon. Let me know if you try it and what you think. 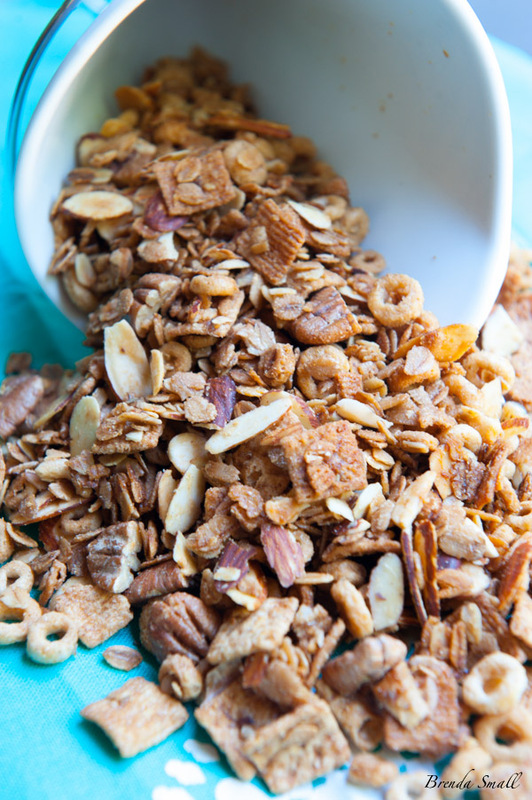 These are the ingredients you will need for the Cereal-Nut Snack Mix. 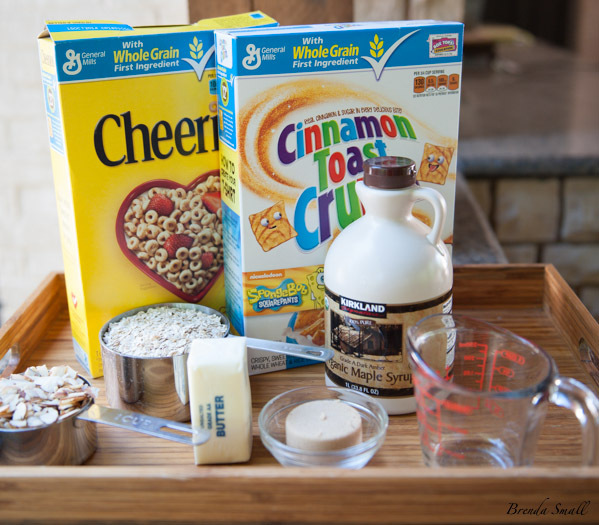 You could use any brand of toasted oat circle cereal, as long it is a good quality one. Also, I added pecans. An added bonus: All of the cereal boxes have Box Tops for your kids’ or grandkids’ school. 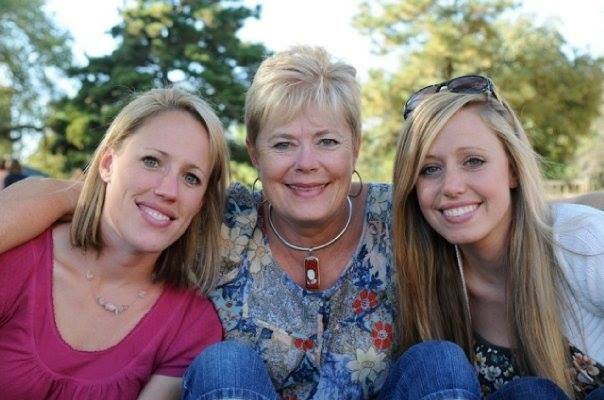 If you are not familiar with the Box Tops, ask your kids or grandkids if their school participates in the program. I got these serving pieces at World Market. I love them and use them often! Line 1 large (17" X 14") or 2 medium (15" X 10") cookie sheets with sides or baking pans with parchment paper or aluminum foil with the shiny side up. 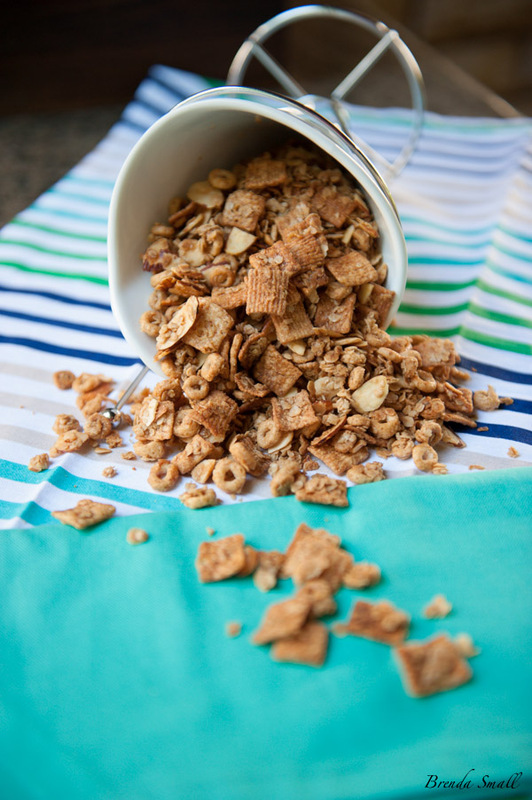 In a large, heat-proof mixing bowl, gently toss together the Cheerios, Cinnamon Toast Crunch, rolled oats, almonds and pecans. Set aside. In a 1 quart saucepan over medium-low heat, combine the butter, brown sugar and syrup. Stirring frequently, bring to a low boil and simmer until the butter is melted and the mixture is smooth. Immediately pour over the cereal mixture, and toss gently until all of the cereal is coated. With a rubber spatula, spread the mixture evenly in the prepared pan or pans until about ½" thick. Place the pan or pans in the preheated oven. Pour the mixture onto parchment or waxed paper to completely cool, about 15 - 30 minutes. Enjoy one of my favorite sweet snacks!